In her welcome address, the Deputy Registrar in charge of the Division of Human Resource, Mrs. Christie Okae-Anti on behalf of the Registrar, thanked the Vodafone Ghana Foundation and British Council for their assistance and lauded them for the dedication and commitment shown towards the scholarship scheme over the period. She indicated that investment in female education in the area of Science and Technology would go a long way to boost the number of females in that sector at the tertiary level. She mentioned that the support would be recorded in the annals of the University that through their efforts a number of Ghanaian women got quality education. She congratulated the awardees and urged them to pursue excellence and extend a helping hand to others whenever the need arises. Chairing the occasion, Prof. Mrs. Mary Dzansi McPalm, entreated the young ladies to take their studies seriously to enable them assume future leadership positions. She elucidated that UEW has a strong Gender Programme to correct the underrepresentation of females in UEW at both students and staff levels. She was full of praise for the young ladies for having to go through the criteria for the competition and finally being awarded the scholarship. 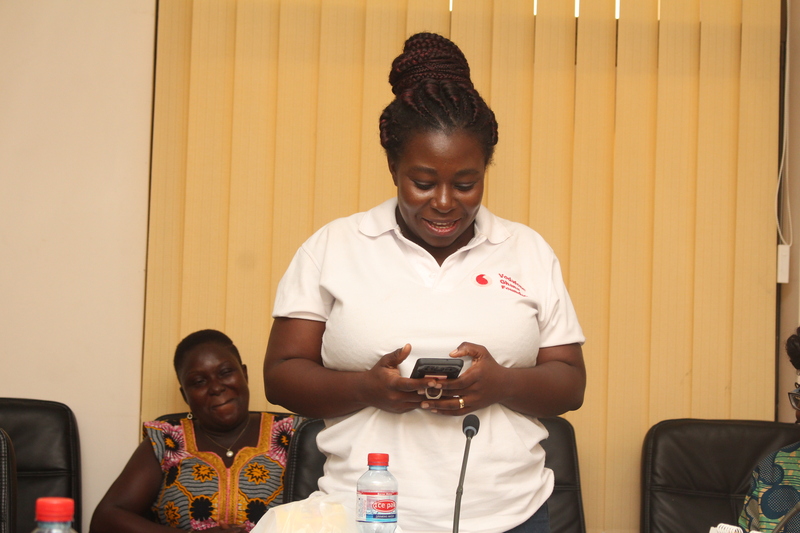 A Representative from Vodafone Ghana Foundation, Mrs. Rodaline Dzade said that the organisation seeks to assist in producing more teachers with backgrounds in engineering and science to manage the technology field of Ghana, Africa and the world at large. This, she said would “address the marginalization of women in that sector”. She urged the beneficiaries to remain agents of change and be representatives of this agenda adding that, it is possible for women to pursue careers in the sciences and engineering programmes. President of the Vodafone Scholars in UEW, Miss Eunice Quansah, a level 300 student, presented activities embarked on by the beneficiaries of UEW for the first quarter of the year. She said series of seminars were attended by beneficiaries and also a donation of assorted items were made to the Methodist Rafiki Satellite Village at Gyahadze in Winneba. 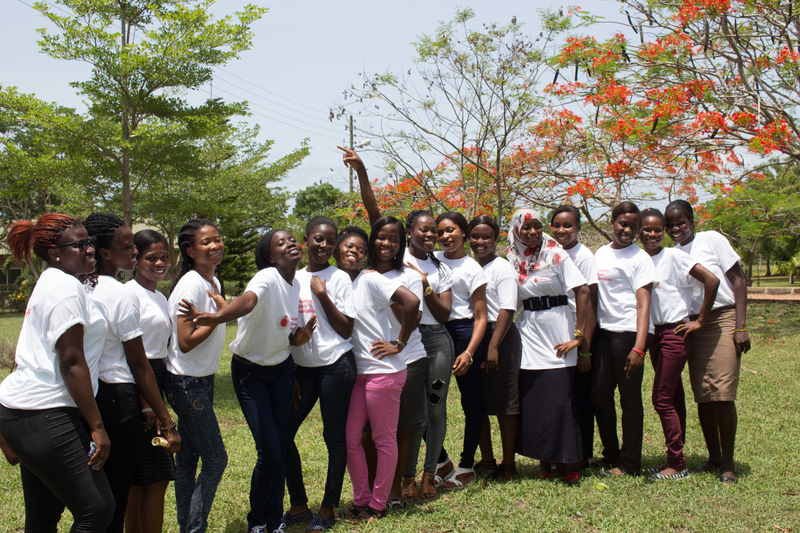 She thanked Vodafone Ghana Foundation and the University for supporting them to live their dreams. The Scholarship Package comprises full payment of fees and stipend to Scholars and tenable for three years.